What's Next for Apache's Open Source Office Suite, OpenOffice? Times appear to be tough for the development team behind Apache OpenOffice, the open source office productivity suite that is popular on Linux, and runs on Windows and OS X as well. They're so tough, in fact, that some observers are questioning whether the project will soon fold. Times appear to be tough for the development team behind Apache OpenOffice, the open source office productivity suite that is popular on Linux, and runs on Windows and OS X as well. They’re so tough, in fact, that some observers are questioning whether the project will soon fold. Bruce Byfield at Datamation asked this week, “Is OpenOffice Dying?” His question was prompted by the working (emphasis on “working”—all statements are still tentative) copy of the latest board report from the project. Among other challenges for OpenOffice, the report points to “practically no development” taking place. If that’s the case, it’s no surprise. OpenOffice began bleeding developers, and users, to LibreOffice, a fork of the original OpenOffice code, shortly after Oracle took the reins of OpenOffice following its January 2010 acquisition of Sun Microsystems. Oracle’s decision in 2011 to wash its hands of the project and donate the OpenOffice code base to the open source Apache Foundation did little to reinvigorate the flagging endeavor. 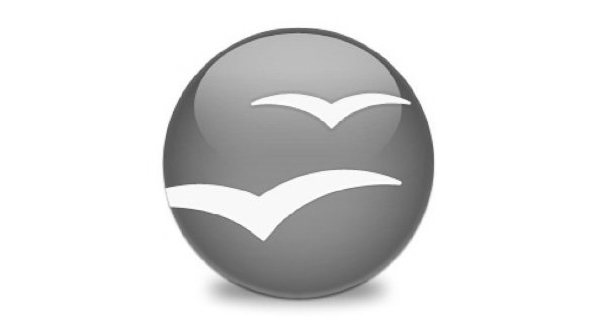 Now, although OpenOffice remains a viable productivity suite that is fully compatible with Linux, the majority of mainstream Linux distributions ship with LibreOffice by default. And although we don’t have hard data, we suspect that most Windows- and Mac-based users of open source office software—which fills a popular niche, since OpenOffice and LibreOffice are perhaps the only free, enterprise-quality alternative to Microsoft (MSFT) Office—today opt for LibreOffice, too. Since few people appear to be currently using OpenOffice—and because the core functionality of the office suite is still pretty similar to that offered by LibreOffice—it’s unlikely that too many people are worried about OpenOffice’s present conundrum. LibreOffice is not going anywhere anytime soon, which means Linux users have no cause for concern. Openoffice already died when everybody left and created libre office….apache should have done the right thing when oracle gave it to them and put it down out of its misery. If a project can be forked, couldn’t the two branches be rejoined? Ever since Oracle donated the OO project to the Apache Foundation, there seemed to be no real reason for OO not to be merged back with LO. On Windows userbase: AOO still has a significantly higher rate of downloads for Windows than LO does. (I base this claim on the projects’ own assertions as to download numbers, but see no reason to question these numbers.) The “OpenOffice” brand remains remarkably strong even as the product lacks development progress.